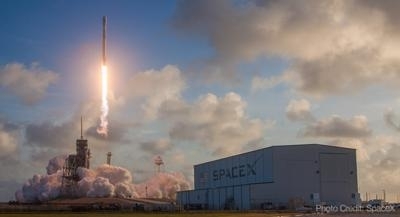 The FAA has submitted a proposed set of regulatory reforms to the National Space Council chaired by Vice President Mike Pence to create a "21st century licensing process" for commercial space flight. FAA associate administrator for commercial space transportation George Nield said during a panel discussion at the SpaceCom Expo December 5 in Houston that the list had been submitted, according to a report from SpaceNews. “What we turned in was a list of ideas that we had identified as things that might be helpful in terms of regulatory streamlining,” he said. “Nobody had to twist our arms on this,” he said. “We’ve been trying to decrease the regulatory burden on everybody, both the government and the industry.” That included regular discussions with the Commercial Spaceflight Federation industry group and reviewing white papers submitted by companies such as SpaceX. “We were given 45 days to put some of these forward to the National Space Council,” he said. There was no requirement for the FAA to coordinate its response with other agencies, something that will be done at the Council level. “We came up with our vision for a 21st century licensing process,” he said. Nield has also requested additional staffing for his office, which currently numbers about 100 people. He said that the additional staff would greatly expedite the process of fixing the system, rather than just having everyone with their heads down "cranking out the licences."